Scandal in France after a soundbite and a luxury store bill from his wife brought President Emmanuel Macron into a rather sticky situation. Firstly, Mr Macron could be seen in a video posted by one of his cabinet members where he slammed the French benefits system, saying that the “crazy amount of cash” that was being spent was totally out of control as it didn’t help the people stuck in poverty. 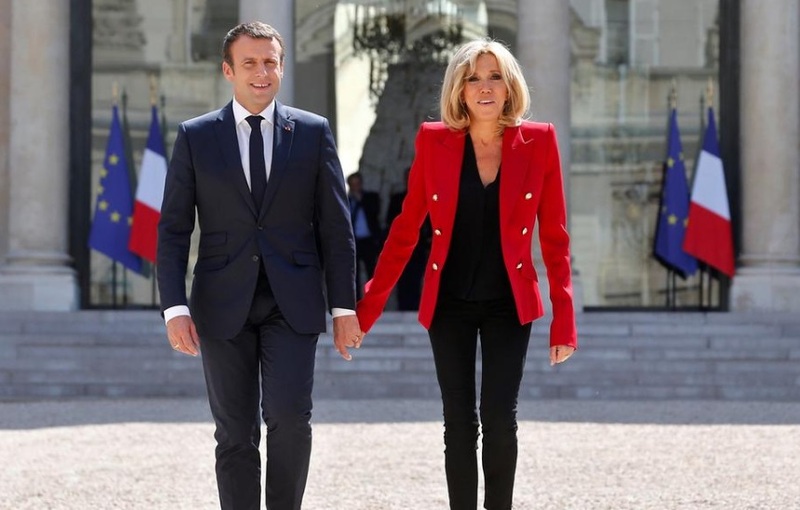 Unfortunately for Mr Macron, the video was posted on the same day that the French satirical magazine ‘Le Canard Enchainée’ broke a story about the new China porcelain dishes that Ms Brigitte Macron bought for the Elyséee Palace last week. According to ‘Le Journal Du Dimanche’ that set cost something like 50,000 €, which the Macrons deemed necessary to receive other heads of state. However, according to Le Canard Enchainée, the listed price of the set provided by the Sèvres porcelain factory to the Elysée was rather €500,000, when they, checking to see whether the Presidential couple spoke the truth, had made enquiries to buy a similar set. The company Sèvres, which is heavily subsidized by the French state as it is considered part of the French ‘cultural patrimony’ (it reportedly receives €4 million in annual donations from the government) said that the Macron’s order “doesn’t represent any additional cost,” meaning that the French head of state, of course, got a good reduction on the price. While the homeless and people at the poverty level continue to starve. I think its sad. They might as well have their cnanke ea5 it too. Im talking about the Macrons. I promise you these lesaders are evil. When Obama was president me and my family went hungrey.In case you didnt know hunger hurts. I dont wish it on anyone.